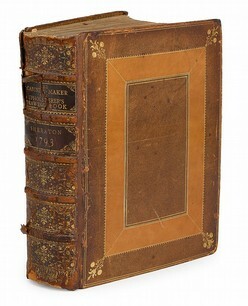 Reference (Furniture); Sheraton (Thomas), The Cabinet-Maker & Upholsterer's Drawing-Book, First Edition, 1793. 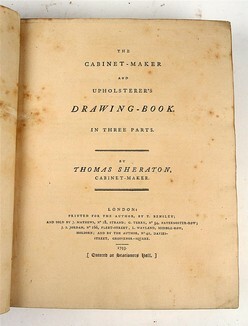 The Cabinet-Maker & Upholsterer's Drawing-Book, by Thomas Sheraton, 1793 first edition with appendix; image credit on full record. The title page of Thomas Sheraton's masterpiece of furniture design; image credit on full record. 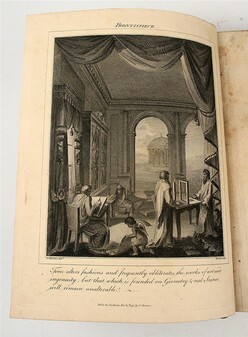 One of two double page plates in this volume of classic furniture design; image credit on full record. 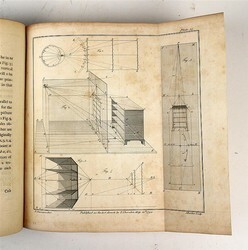 One of four fold-out pages, this one comprising a design for a chest of drawers; image credit on full record. 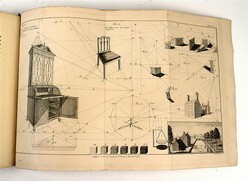 Another of the four fold-out plates in this work, this one detailing a secretary, chair, and landscapes with buildings; image credit on full record. One of the sixty-seven black and white plates in this book on Sheraton's designs for furniture; image credit on full record.